Co-hosted by two shrinks, Shrinking It Down: Mental Health Made Simple plays up the fact that mental health is anything but simple, while helping parents and other caregivers to navigate some tough questions. 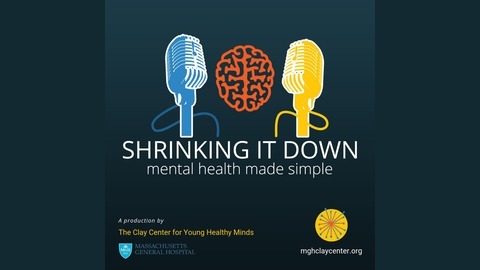 Join Dr. Gene Beresin and Dr. Steve Schlozman as they banter, reflect and provide practical guidance on a range topics related to the emotional and behavioral well-being of children, teens and young adults. From depression and learning issues, to politics and digital media, Shrinking It Down covers it all. 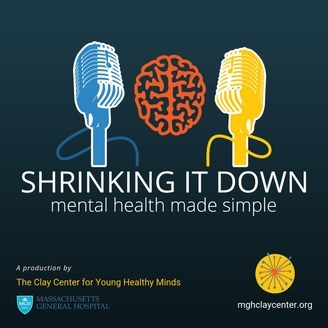 Tune in today!About Us: The Clay Center for Young Healthy Minds at Massachusetts General Hospital is a free, online educational resource dedicated to promoting the mental, emotional, and behavioral well-being of young people through innovative education. Visit us online at mghclaycenter.org. Flowers are blooming. People are smiling. On the surface, it seems like spring is the sweetest season of all. And while it is rejuvenating and joyful in many ways, it’s also associated with the highest rates of psychiatric issues. Gene and Steve take a closer look at why this might be, from research to theories to their own clinical experience. They also talk about steps you can take to manage this time of year if your child or you are struggling. With the right strategies and supports, we can get through this together. Thank you for joining us in this conversation. If you have questions or comments about today’s episode, write to us at mghclaycenter@partners.org.